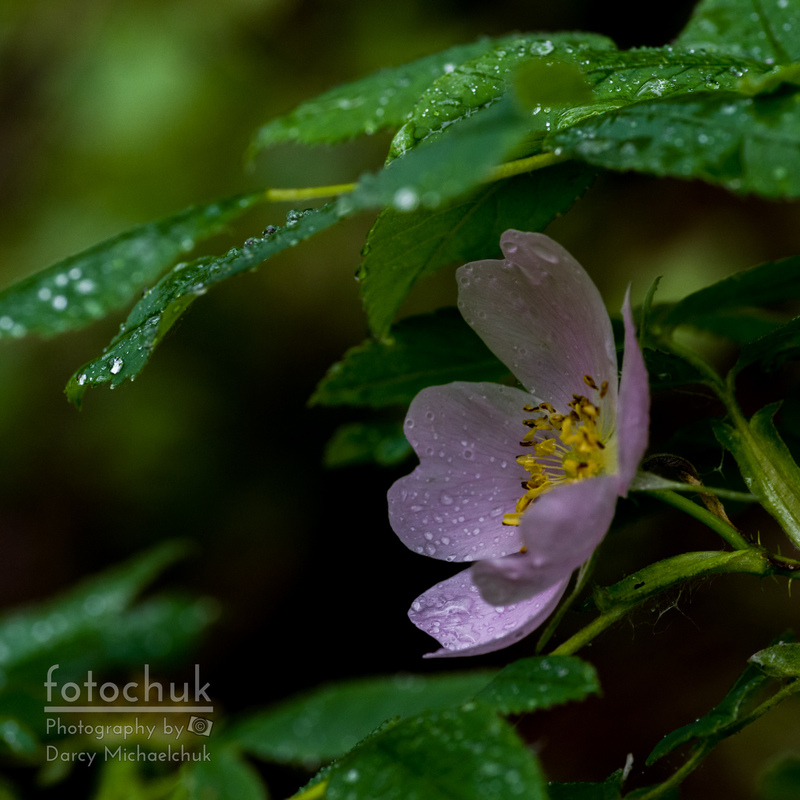 This Alberta Wildrose got fairly wet in between a full day of showers. 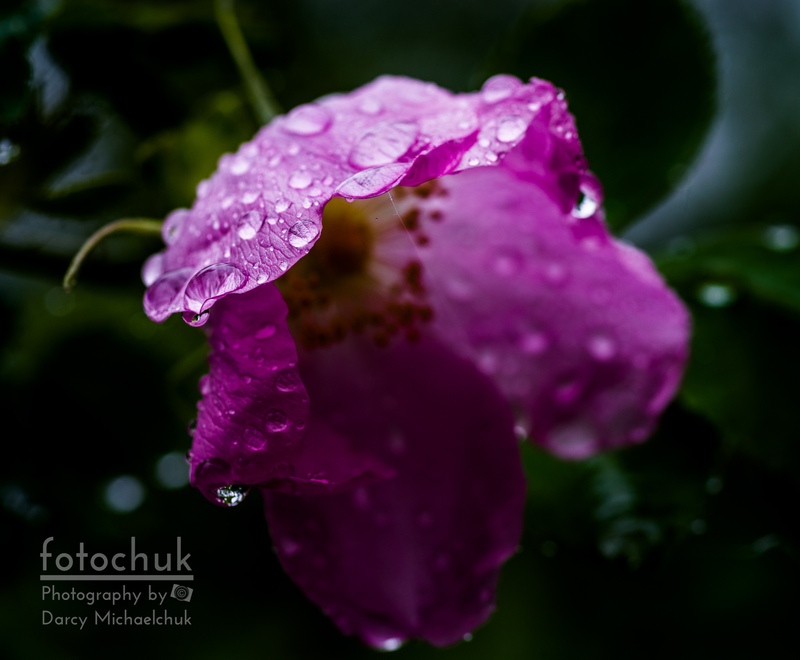 This Alberta Wild Rose didn’t get as much rain as the others due to its shelter. 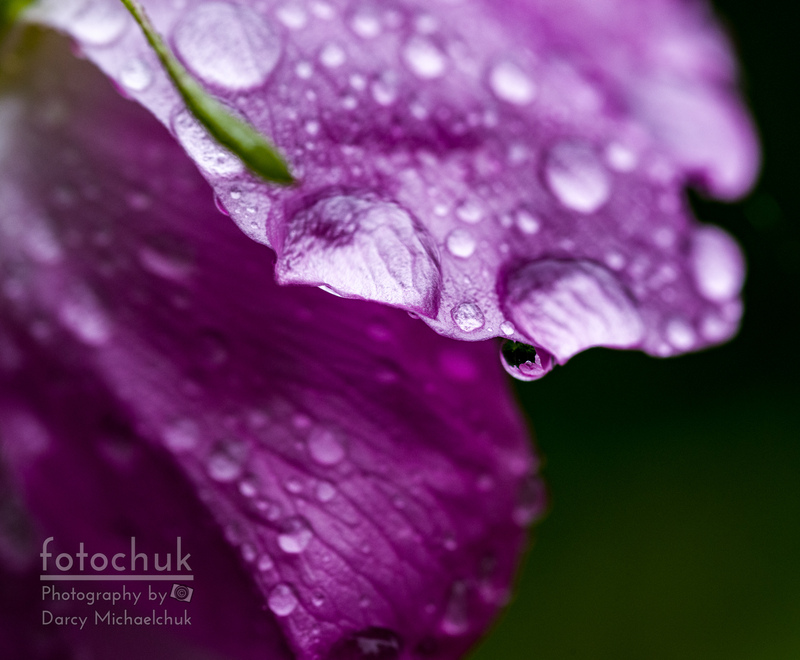 A close look at the wet pedals on this Albera Wild Rose shows a droplet with the image of another pedal and droplet within. 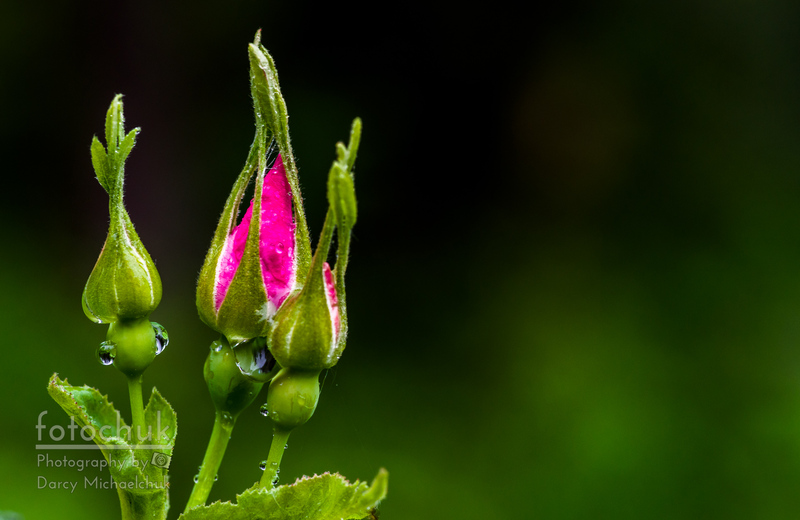 Thes Alberta Wild Rose buds are absorbing the showers in order to bloom. 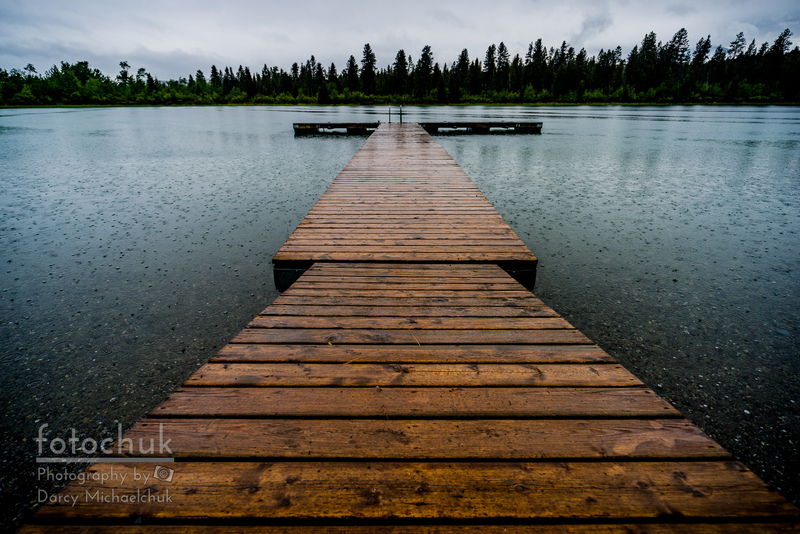 A wet dock, empty lake on a rainy day at Norbury Lake, British Columbia.